Staff at the Ajioka paper company over the Komagata Bridge responded with conscientious force to the unsightly aftermath of last night’s Typhoon Wipha. It left destruction and flooding and lurching trees. 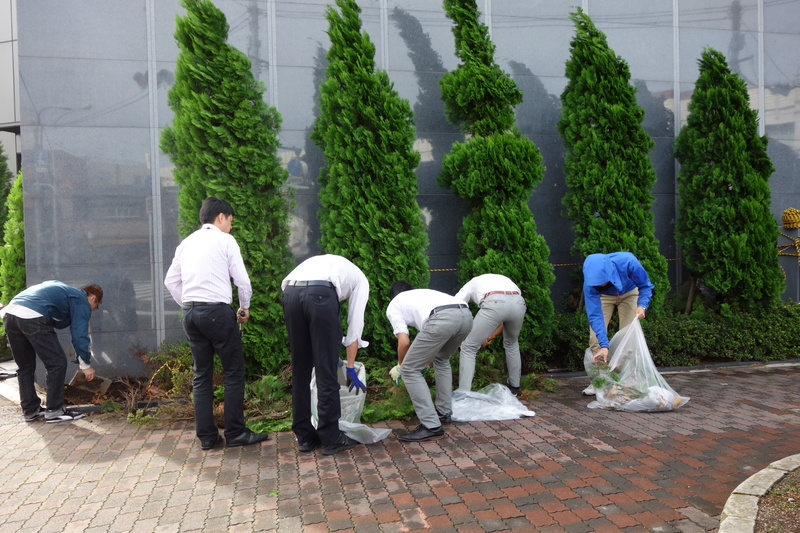 Here are the staff outside their premises getting their hands dirty, just after 9am. They work so well together, though you suspect caretaking is not their regular job. The man with the clippers says, That’s right. We are deskworkers. Onward they toil, and when you happen past an hour later you see they have eliminated all perils to passersby of the teetering arbour. 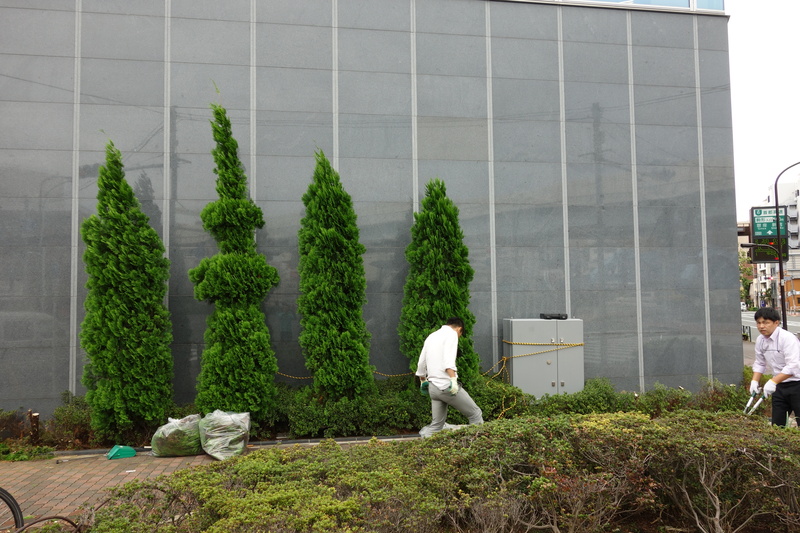 The clippers man winks and says, Did you know we’ve got – Skytree?! …You like to think you are fairly sharp-eyed, but just now you spot it, hahaha, second from the left.